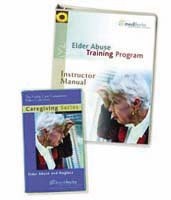 A 2-hour course that teaches professional and family caregivers about the complexities of domestic elder abuse and neglect. Students learn through an interactive process that includes a variety of participatory exercises. An easy-to-implement training program that addresses an important national concern.